Are you building a new website for your business? Have you put much thought into your web host? This can often be an overlooked part of a new website. However, it can be one the most important decisions you will make when creating a new website. So what is a web host? If you haven’t built a website before, you may not be aware of what a web host is, and the important role it plays. A web host is the remote computer server where all your website files are stored. When you choose a host for your website, you will pay a hosting fee every month or annually. Shared hosting: the files from other people’s websites are stored at the same location. This is the option most websites use. 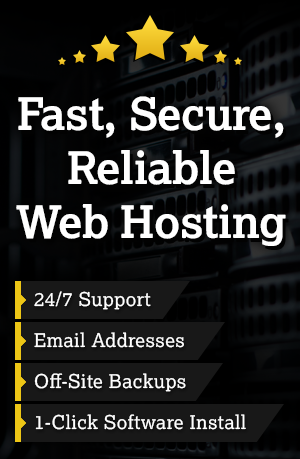 Dedicated web hosting: no other person has files on the server. Essentially you are using the entire server. The benefits of this are your server will be faster and more secure. Cloud hosting: this virtual server is made up of numerous physical web servers. This is considered the most reliable option because if the cloud hosting fails, another one will be able to take its place. Now you know what a web host is and the different types, it’s time to look for a web host for your website. With so many web hosts available, it can be overwhelming when trying to decide who to choose. This is often the first thing people will look at when choosing a web host. How much is it going to cost? Of course, you’ll want to choose the most cost-effective host. However, this isn’t necessarily going to be the cheapest option. Remember the old saying “you get what you pay for”? This is also true for web hosting. At ThePixel we have website hosting package starting at $25/month including: unlimited bandwidth, email addresses, subdomains, monthly off-site backups and 24/7 phone or email support. Make sure to have a look at what the hosting features before choosing your package and provider. 2. Does it include email? If you’re starting a business you want to look professional. The best way to do this is by having an email address that is associated with your domain name. After all, who is going to take your business completely seriously if you’re using a Gmail email address? If your hosting does include email (ThePixel offers unlimited email address on all web hosting packages), it’s also good to check what email features the hosting includes. Your hosting can often help to resolve issues such as spam emails. Sometimes you’ll end up having a problem that you can’t resolve on your own, and you need the help of your host. However, you’re not going to receive a quick response if your host is in a different country and only open during office hours. On the other hand, some hosts often claim to have 24/7 customer service, but may not have the most know-how. If you know you’re going to need to contact customer service, make sure you see how responsive the staff are before deciding on a host. Find out how easy it will be to talk to a real person, and whether or not they can solve your problem. At ThePixel we will assign an account manager to your hosting ensure quality assurance is met. We pride ourselves on our stellar hosting services and strive to create the best customer experience possible. Check any customer reviews, which can often be found on social media or Google. This will give you an idea about what people think of the company and whether or not they are a good choice. 5. How easily can you switch? So you chose a web host, but then you end up finding a better offer a few months or years later. How easily are you going to be able to get out of your contract with your existing web host? Sometimes you may incur fees for switching web hosts. It’s important to establish this before you initially sign up. 6. Is there room to grow? Think about your business’ website now, and what it will be like in the future. Is it going to be the same size, or are you trying to grow into a larger business, and therefore needing a bigger website? This will affect what hosting you choose. What works for you now may not be adequate in a few years time. Make sure to look if it’s easy to upgrade your account to accommodate for a bigger website and a higher influx of traffic. If your hosting does not have the ability to scale, and you know you will get an increase in traffic, it’s best to look elsewhere. Why is it important to get the right host? Negative impact on SEO: if your hosting is going down all the time, you’re going to see your search engine rankings slip. This means it will be harder for people to find your website, and you won’t have an increase in traffic. Furthermore, having a slow response time can also be damaging for your SEO. Revenue: you’ll want to make sure your website has a positive ROI. However, if you’ve picked an unreliable host that has a lot of down time, it could negatively impact your revenue. While your website is down, you’re losing potential customers and therefore profits. Security: make sure you pick a host who has your data backed up on a remote server. If your website ever gets hacked, you want to know you can easily restore it. If this isn’t the case and your website does come under attack, you could be struggling to rebuild your website afterward. 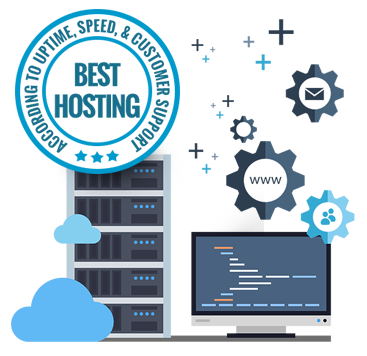 Before picking the first web host you find, make sure you carefully look at what they can offer, and whether that will suit your needs not only now but also in the future. If it doesn’t, keep on looking until you find a more suitable web host.